Connections Training and Staffing is proud to be an approved training provider for the Colorado Department of Transportation and to offer the best CDOT Flagger Training and Certification Program in the state of Colorado. Successful participants will receive their certification upon completion of the training class and the flagger certification card is valid for the following two years. 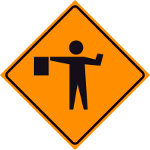 There are a few requirements to become a flagger in the state of Colorado. You must be at least 18 years of age and be in good physical condition with good vision and hearing. You must have an understanding of English that will enable you to communicate with the public and guide them through traffic safely. Candidates must pass the certification course with a score of 80 percent or better in order to obtain a certification card. Our CDOT ceritified flagger instructors offer the highest quality of training to ensure safety for both our candidates on the job as well as the general public on the roads. We offer training classes in both English and Spanish. Connections Training and Staffing offers a flexible training schedule that can accommodate large groups or individuals. We can hold training courses at either our high quality training facility or your place of business. 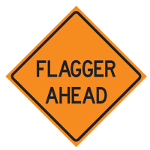 Call today to set up a CDOT Flagger Training and Certification Program designed for your specific needs.